Founded in 1974, architecture office Cruz y Ortiz Arquitectos has developed projects in many fields of architecture at very different scales: from single-family homes or schools, to large infrastructures such as stadiums, railway stations or national museums. Cruz y Ortiz Arquitectos is headquartered in Seville, where around 30 people of different backgrounds and nationalities are currently working. Since 2002, Cruz y Ortiz Arquitectos has a stable office in Amsterdam, where 7 architects are currently working to develop the projects underway in this country. It also has associated studies in Lugano and Madrid, with which it usually develops contests and works management. Cruz and Ortiz Arquitectos provide services in architecture, planning, interior design and landscaping, for both the public and private sectors. 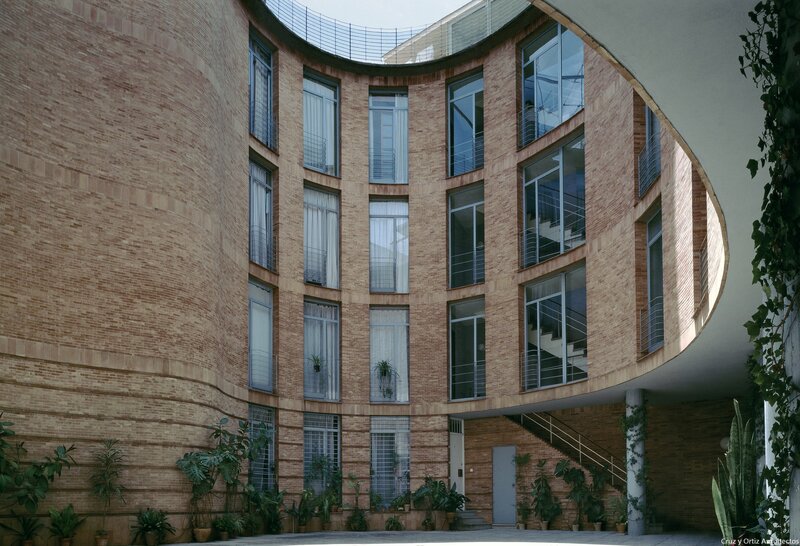 Cruz y Ortiz Arquitectos has won more than 30 national and international competitions. At present, among the most significant projects and in different degrees of execution, are the football stadium for Atlético de Madrid, which is expected to be completed in 2016. The remodeling and expansion of the Rijksmuseum in Amsterdam, the University Campus and the Faculty of Medicine of the University of Granada and the Councils Building of the Junta de Andalucía.